There is big news for Tasmanian cycling fans. The 2013 Tour de France champion Chris Froome will join his Sky teammate Richie Porte in the Stan Siejka Launceston Cycling Classic next month. The Team Sky duo will take part in two events on the weekend of 6-7 December as they ramp up their preparation for the 2015 season after a largely disappointing year in the saddle. 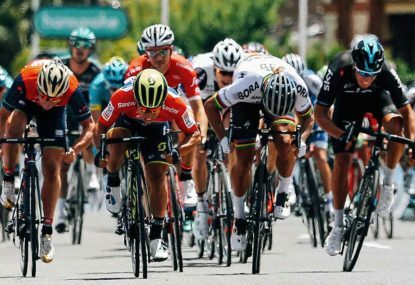 Defending champion Froome crashed out of the Tour de France in July before finishing second behind rival Alberto Contador in the Vuelta a Espana, while Porte’s only victory in a season plagued by illness and injury came on Old Willunga Hill way back in January’s Tour Down Under. Despite these setbacks, Froome and Porte remain one of cycling’s most exciting duos and have their heart set on restoring Sky’s status as the leading team in the sport. Britain’s Froome, 29, will join local boy Porte in his home event in front of estimated crowds of 20,000 fans – double than the usual tally. The pair will take part in a kermesse-style race at Symmons Plains with amateurs on Saturday before taking on the Stan Siejka Classic around an undulating circuit in the centre of Launceston on Sunday evening. 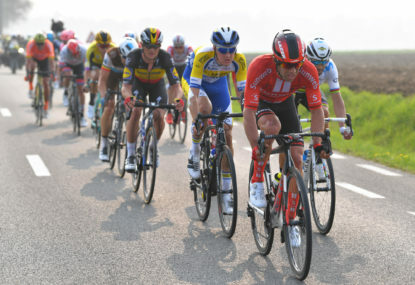 The headline race will be contested by 100 cyclists – including Pro-Continental team Drapac and Australian National Road Series teams Avanti and Budget Forklifts. 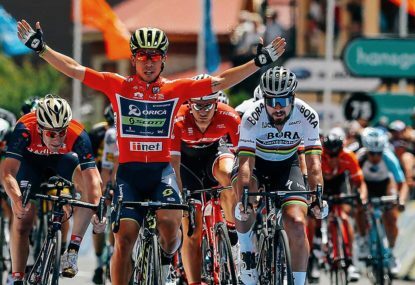 The Orica-GreenEDGEteam of defending champion Caleb Ewan have yet to confirm their participation. The presence of Froome and Porte has been described as a “massive coup” by event organiser Nigel Baker, who claims the pair “will no doubt put Tasmania and Tasmanian cycling on the map”. “It doesn’t get any bigger, really. It’s a bit like Roger Federer or Tiger Woods coming to play their sport in Tassie,” he added. Froome’s decision to head Down Under to prepare for the 2015 season marks a shift in the Kenyan-born rider’s usual winter programme. For the past two years Froome has undergone team training in Mallorca in late November and early December – but this year’s appearance in Launceston will be part of a three-week training block in Tasmania. 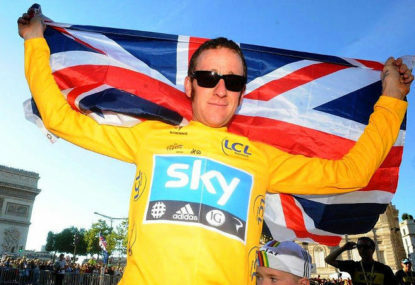 Having visited the Apple Isle myself back in 2012 I can say with some minor authority that Froome is in for a real treat. Whether riding along the undulating and rural north coast, through the breathtaking plains and forests around Cradle Mountain, past the white beaches of Freycinet and the east coast, taking in the lakes of the centre or scaling the eerie switchbacks around the bleak mining settlement of Queenstown – Tasmania has the terrain, and weather, to suit all desires. It remains to be seen if Porte takes his teammate on one of his legendary training rides. For his 29th birthday last January, Porte and his old friend Cameron Wurf (Cannondale) famously clocked up 403 kilometres in one daredevil spin around north-east Tasmania – culminating in a couple of hamburgers and beers from Porte’s favourite diner. That is fair play, given the 11,400 calories burned off during their 13-and-a-half-hour ride. It also remains to be seen if Froome stays out for an Australian Christmas before putting in an appearance at the Tour Down Under, which takes place in and around Adelaide on 20-25 January. Froome last took part in the event in 2010 (when he finished 75th) but you get the impression that Sir Dave Brailsford will want both his riders back in Europe and on a tight leash after such an unorthodox period of winter training. Already looking ahead to next year, Sky recently underwent their first off-season team-building exercise, a few days sailing off the south coast of England with British Sailing. In fact, it was while Froome et al were negotiating the choppy waves of the English Channel that the 2015 Tour de France route was unveiled in Paris. The climbing-heavy route – which only includes 14 kilometres of individual time trials – came in for some hefty criticism from Froome, who provocatively claimed he may sit out the Grande Boucle in favour of a Giro-Vuelta double. 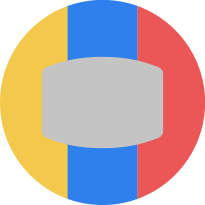 While controversial Tinkoff-Saxo owner Oleg Tinkov has been trying to encourage the world’s best riders to commit to riding all three Grand Tours, it seems that it’s doubles – rather than a deluded treble – that are capturing the imagination of cycling’s Big Four. With Colombian Nairo Quintana (Movistar) likely to ride both the Tour and the Vuelta, Italy’s Vincenzo Nibali (Astana) and Spaniard Contador (Tinkoff-Saxo) have both talked up their desire to race the Giro and Tour. While Nibali remains open to the idea of supporting compatriot Fabio Aru in his home tour, Contador has underlined his intention to pull off the first Giro-Tour double since Marco Pantani in 1998. Tinkoff-Saxo have themselves been involved in a team-building exercise in Tanzania. Taking altitude training to the next level, Bjarne Riis’s squad this week scaled Mount Kilimanjaro – the loftiest free-standing mountain in the world. Contador was joined by newteammate Peter Sagan as he looked to hone the kind of climbing skills that will put him in the driving seat come July. Time will tell if Froome takes to the start of the Tour in Utrecht alongside Contador – a lot will depend on his form following the European winter. Since 2012 Froome’s season has started in February with the Tour of Oman. This year, the seeds of his 2014 campaign will be sown more than two months earlier, and in the previous calendar year. Roll on, Tasmania.